Make your favorite waffle batter. If your waffle maker makes bigger waffles than 4 inches, you can cut one waffle in half instead of using two waffles. Mix the 2 1/2 tablespoons of syrup, soften butter, cinnamon and a pinch of salt. Make sure to mix until you have an even and creamy mix. 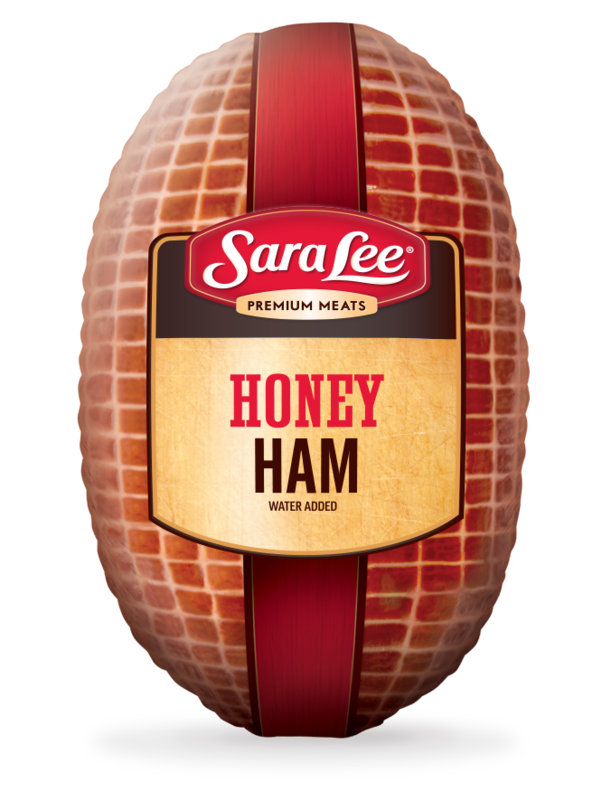 While your waffles cook, heat the ham slices in the skillet on medium heat for about 1 minute per side. The ham should be hot and have some browning. Remove the ham and add the thin sliced apple. Cook about 1 1/2 minutes on each side. The apples will start to soften and have a nice brown color. Once your waffles are ready, set them side by side and add butter to each waffle. 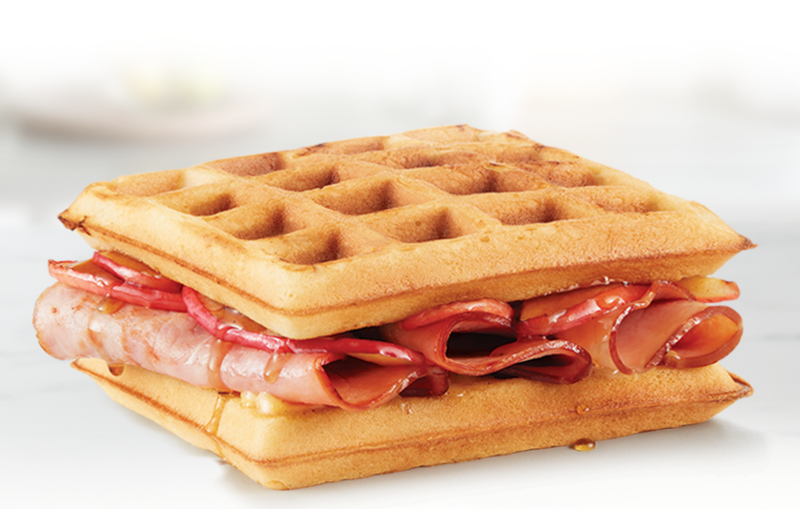 On the bottom waffle fold the ham on the buttered side. 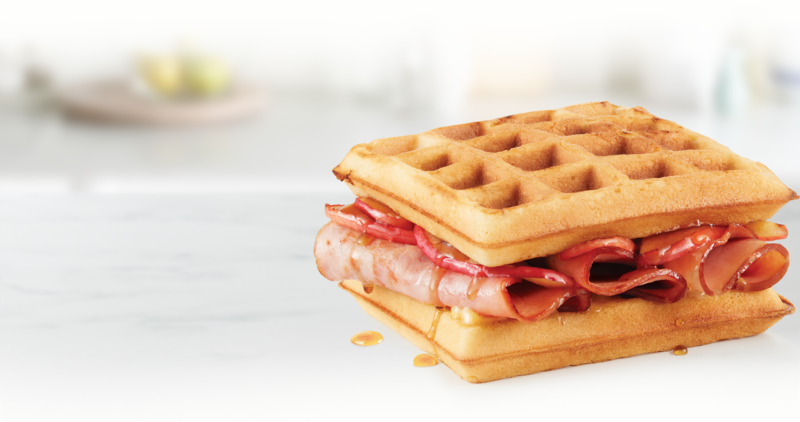 Spread the apples over the ham and top with the other waffle. Serve with a side of maple syrup for dipping.